For a company that prides itself on image, and employs people just to work out their products "Unboxing Experience". You would think that they could come up with a piece of software that wasn’t complete and utter tripe! But unfortunately we are stuck with iTunes. All I wanted, was to have my "Gym Playlist" on my phone to be in the same order as it was in iTunes, it would seem that simply sorting by "Playlist Order" then syncing my phone is far "To Crazy!" The solution is about as annoying as iTunes, and surprisingly makes less sense? 1. Open your playlist on your phone and play a song. 2. 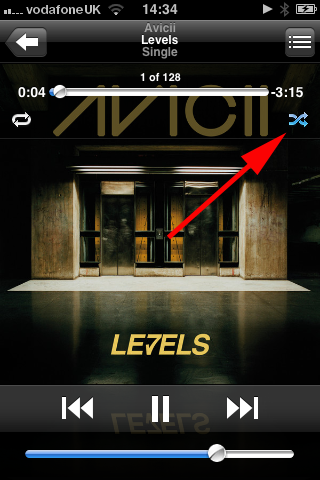 Tap the album cover and the "Shuffle and Repeat" options will drop down. 3. Make sure the shuffle icon is blue, if its grey tap it, then you can stop playing music, and your playlist is in the right order? Apple – Finding new ways to make simple tasks more complicated every day!